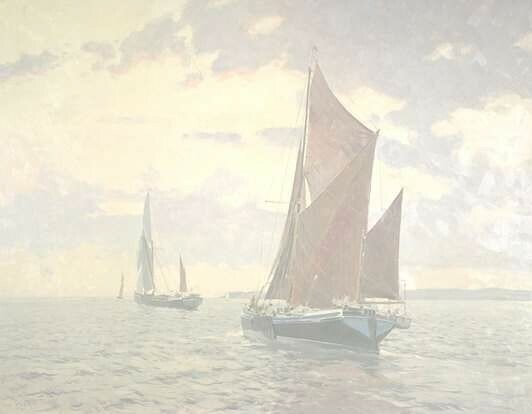 Thomas Richard Wadhams pictured on the stern of his Thames sailing barge, "Viola", moored in Hammersmith Creek, London, circa 1900. 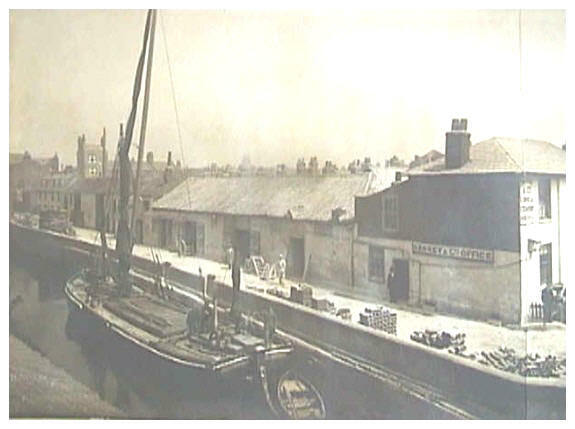 The mooring was owned by Sankey & Co., a prominent local firm of builders' merchants, adjacent to their Hammersmith depot. 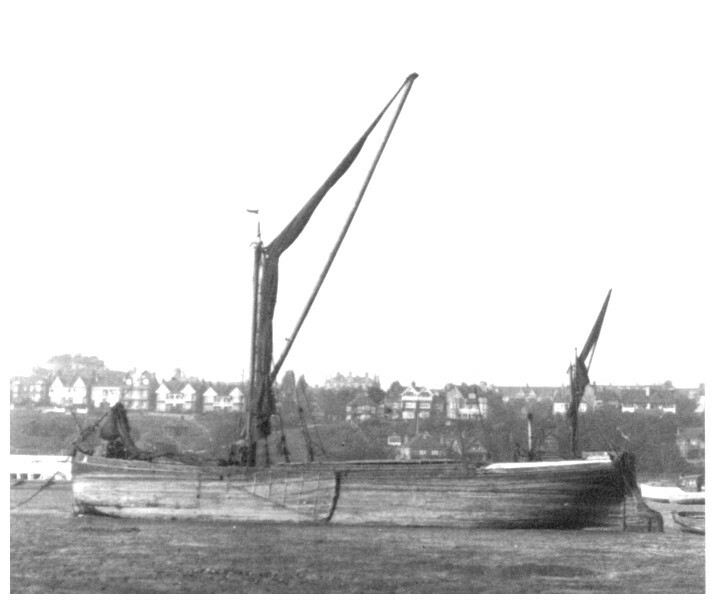 Thames barges were used extensively up and down the Essex and Kent coasts to carry bulk materials prior to the age of mechanised road transport. The "Viola", registered number 110980, was built for Sankeys in 1900 at Strood, Kent, and had a cargo capacity of 38 tons. She was sold to Harold Andrews in 1926 and eventually broken up at Queensborough, Kent, in 1939. Pictured at Leigh in 1932.